Can't remember where I came across this, but I think it's hilarious. 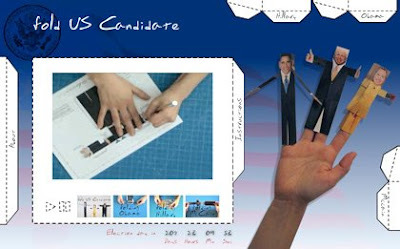 You can download and fold your own US presidential candidate. I tried to make one, but Hillary wouldn't fold! Ha ha ha, good one!!! I just checked out the crafts you made for your kids on flickr...amazing! The colors are all so vibrant and inspiring. Lucky kiddos. FD, um, I don't have any kids. 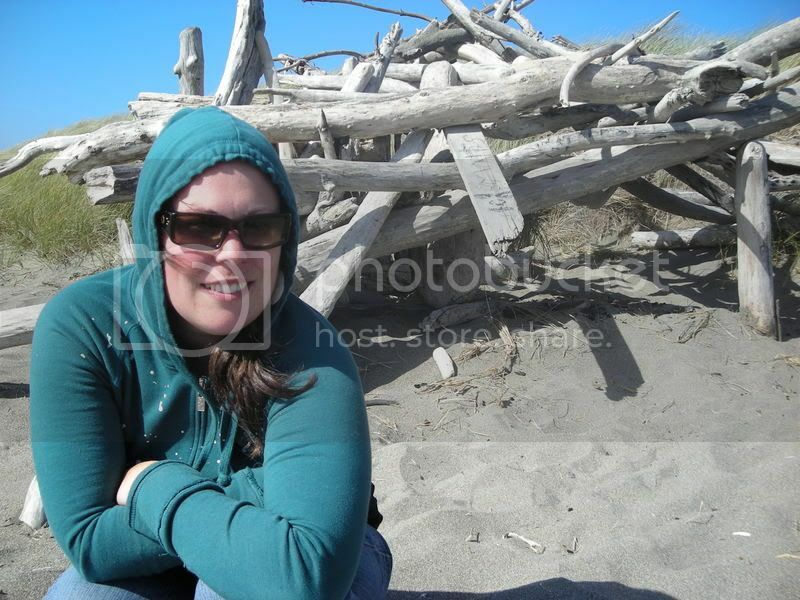 :) Shannon, that's funny! Why does Hillary have boxing gloves instead of hands? My first thought was "Where does she find this stuff?" That made me laugh. You always manage to amuse me. I'm new to your site...but these are HILARIOUS. Brought me out of "stalkdom" that's for dang sure. :-) Thanks for the giggle. My question is, where are the real candidates? I want my Abraham Lincoln, T.R., Old Hickory, etc. Jessica for Blog President! These are a hoot, Jessica. Thanks for sharing them. I even added them to my blog because I love them so much. Check out the pdfs to see the quote from each candidate (it's on their back). Absolutely hilarious!! Where do you find this stuff? Oh, that is just too funny. This is great! Thanks for the link! This is great!! I will have to do it! !